Civil society groups on Friday expressed concern over the spate of attacks on journalists and ever-increasing restrictions on social media and urged the government to ensure freedom of expression – a fundamental right guaranteed by the Constitution of Pakistan. 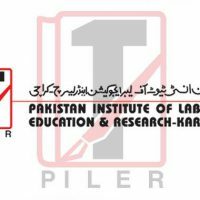 The Pakistan Institute of Labour Education and Research (PILER) held a meeting on Friday at the Karachi office of the National Commission of Human Rights (NCHR) in connection with the country’s upcoming human rights record international review, where activists called upon the government to improve human rights conditions in the country. Incidentally, earlier in the day, Ahmad Noorani, a reporter for The News International, was severely tortured in broad daylight by six unidentified motorcyclists who intercepted his car near Zero Point, Islamabad, dragged him and his driver out and attacked them with knives and iron rods. Noorani was being treated at Polyclinic Hospital and his condition was said to be out of imminent danger. Pakistan’s human rights record will be reviewed in the Universal Periodic Review (UPR), a periodical review of United Nations member states’ human rights record, which is being held after a gap of more than four years in November at the UN Human Rights Council in Geneva. Participants at Friday’s event raised concern over the declining space for freedom of expression, persecution of religious minorities and discrimination on the basis of caste and religion, increasing incidents of enforced disappearances, declining labour rights and right of association and collective bargaining as well as growing incidents of attacks on media personnel. In the 2012 UPR, Pakistan had made several commitments at the global body regarding human rights but no major steps have been taken on many of those commitments, they pointed out. Despite the fact that that the Constitution guarantees all fundamental rights to citizens, there are still many laws in Pakistan which stand against those basic rights, said Anis Haroon, an NCHR member from Sindh. She lamented that the government and civil society usually jump into action when some international reviews like the UPR is nearing and are not working actively during the interim period when they should be in order to ensure people’s rights are protected. PILER Executive Director Karamat Ali said information about important decisions taken at the government level is not shared on a regular basis. Citing the example of the restoration of student unions, Ali said that it was only recently being reported that the government has lifted the ban on the formation of students unions, however, the law had been passed a year ago. Even government institutions themselves did not know that the law was already in place. Shifting the conversation onto the upcoming UPR, activists Iqbal Detho, Owais Aslam Ali of PPF and Jamil Junejo of PFF, Zulfiqar Shah of PILER, Habibuddin Junaidi, the Convener of Sindh Labour Solidarity Committee and Pirbhu Satyani of PILER explained the mechanism of the UN review. The UPR was set up in 2006 when the Human Rights Council was created in order to periodically assess the human rights situation in all UN member states. Pakistan’s first review was held in 2008 and second was held in 2012, while the third is scheduled for November 13, said Detho.